I heard the news recently that Knitcircus Magazine will be terminating, the last issues being the previous winter issue and the special gifts issue. The Knitcircus brand will be living on, however, through a weekly e-newsletter. I am very sad for this news - Knitcircus has in my experience been a fabulous publication, from a designer perspective and a knitter perspective. Their patterns have been consistently high quality, and their articles as well. 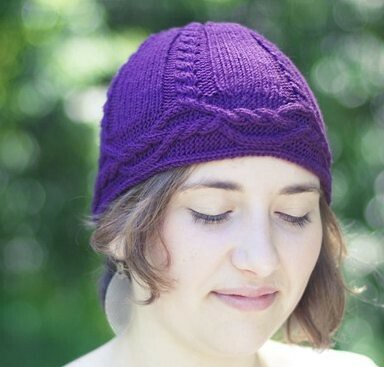 My Interwoven hat pattern was in the last fall issue - it was my first time working with a publication and it was a wonderful experience. You can read the official blog announcement here, and you can discuss the changes at Knitcircus' Ravelry group.